Sale comments:Very pleasing result under severe drought conditions. 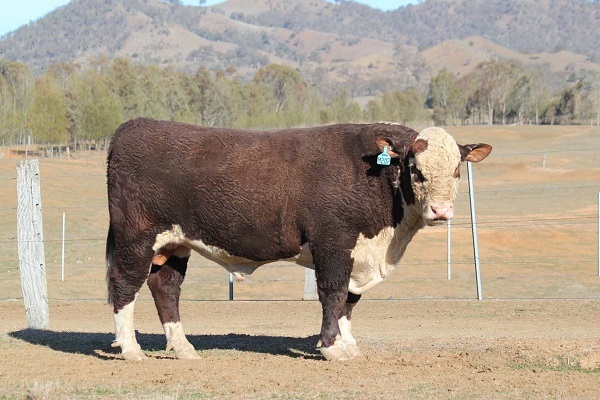 Considerable interstate interest from commercial producers choosing bulls with good calving ease combined with top growth and carcase traits necessary for their target markets. Thanks to all purchasers for their continued support. Elite H284 M202 sold for the top price of $11,500 at the Elite Poll Herefords Bull Sale.